Boundaries: Healthy Limits or Barriers to Relationships? This past Sunday, we heard the Gospel passage from Matthew 25 about the Last Judgement. In this reading, Jesus says that the righteous are those who fed the hungry, gave drink to the thirsty, and clothed the naked. This reminds us that philanthropy and almsgiving are an important component of the Christian life, and are something to practice during Great Lent. We want to show our love to others, but we aren’t sure where to draw the line in giving money or in giving of ourselves emotionally. That’s because we struggle with setting healthy boundaries. We might not see the difference between the good limits we use to protect ourselves and our families, and the walls we build up around ourselves to justify our selfishness. Luckily, Christian spoke about this on The Trench in “Understanding Boundaries” – Episode 8. As he discussed, our struggle with boundaries is a struggle to balance individuality and togetherness. After you watch the video, let’s look at some ways that we might struggle with boundaries, and discover how we can establish proper boundaries in our relationships. We all need healthy boundaries. They give order to our lives. Seeing the difference between you and me helps me to know myself. In nearly every aspect of our lives, we maintain certain boundaries that are good and helpful. The boundary between parents and children allows the parents to lead and to guide, while also giving a sense of security and stability to the children. The boundary between romance and friendship sets clear expectations and a safe place for appropriate intimacy. The same is true for work versus personal life. In most situations, there are certain things that you just don’t share at work. It helps keep work professional, and the home private. Healthy boundaries allow relationships to develop, and situations to remain healthy. Yet we don’t always do a great job maintaining these healthy boundaries. Nearly everyone struggles in some way with setting proper boundaries. Some try to ignore boundaries altogether, while others set up unnatural ones between people. Sometimes, we do a mix of both. Personality type tests like the Briggs Myers Test can help us identify how we develop unhealthy boundaries so we can try to develop healthy ones. Some common weaknesses establish distance between people. If we struggle with empathy, we also may tend to isolate ourselves from others. 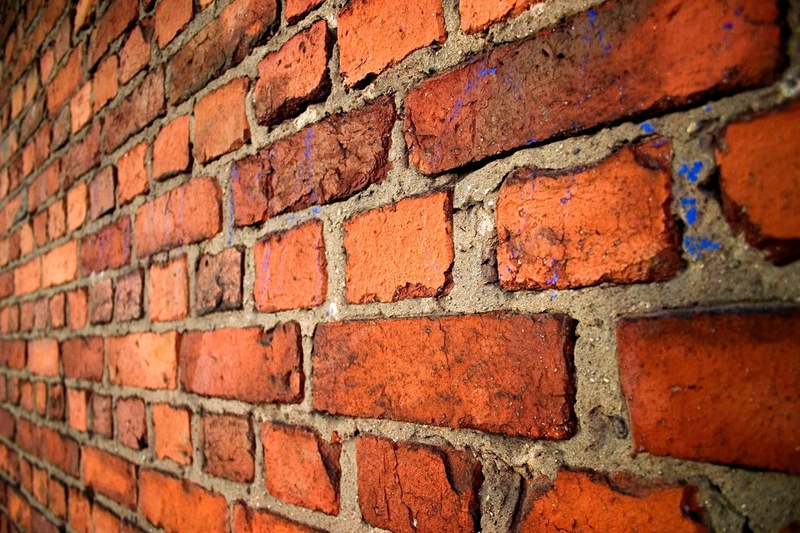 In this way, we build walls between us and others that keep us from proper relationships. Then there’s the struggle with judging others, which emotionally separates us from those around us. This is what happens when we want to help someone in need, and instead of acting on the good thought we set up a boundary between us. When we struggle with judging someone or getting irritated with someone, we can reach out to them through prayer. Instead of closing ourselves off (in our room, house, or behind our cell phones) we can practice being present with our family and friends. On the other hand, some people don’t know how to maintain any boundaries at all. The problem here is generally being too invested in another person’s choices and decisions. Parents, mentors, counselors, and those in ministry are all vulnerable to this problem. In a desire to care for a person, the caregiver might try to solve the other’s problems for them. Instead of being supportive and present, the person ignores proper boundaries and keeps the other from an opportunity to grow. Or we might get overly invested and our empathy turns into making the others’ problems our own. If we don’t respect boundaries, it’s because we are taking on more than we can bear and are not accepting our limitations. Accepting our limitations helps to create healthy boundaries. The mom that tries to solve all of her children’s problems fails to see that she isn’t super woman. The counselor who stays in the office regularly after hours forgets that he can’t save everyone. The person who gives his things away to those in need every day will eventually run out. Even Saint John of Kronstadt had to limit his charity when his wife worried because he kept coming home without money or shoes (remember the concentric circles in the Trench episode I linked above). We are all limited, imperfect people. We are not all-powerful, all-knowing, and with limitless resources. We are not God. We have only 24 hours in a day, and only so much mental and emotional energy. At some point, saying “yes” to new responsibilities results in us saying “no” to our existing responsibilities as we over-extend ourselves. Yet, if we accept our limitations of time and energy, we will be able to say “no” without feeling guilty. If we didn’t get done today what needed to be done, it can wait until tomorrow. If we have too much to do today, then we need to cut back and be realistic about what can be accomplished in any one day. We have limits, and we have to respect those limits by taking proper care of ourselves. When we accept our limitations, we will be willing to take care of our needs too. The mother who never treats herself, the priest who never takes a vacation, the friend who is always trying to fix everyone’s problems…they will all burn out eventually. We all need to have our batteries refilled, our minds cleared of the clutter, and our peace restored. When we accept our limitations, we can take the necessary time to be present for those we want to be there for. This is going to look different for each person, but self-care is a necessary component to keeping healthy boundaries. Boundaries are a natural part of life. They help us be better friends, family members, and coworkers. They help us be the best possible version of ourselves, true to the specific duties and responsibilities that God has placed on our shoulders. And, boundaries keep us from feeling guilty when we realize that we can’t help everyone, and that’s okay. How do you struggle with boundaries in your life? How do you set up healthy limits in your life?